KELOWNA, BC – March 19, 2019 – New Era Nutrition, a premium functional foods company, announced today the promotion of Dean Williams from President to President & Chief Executive Officer. Saul Katz, who founded New Era Nutrition, will transition to Chairman of the Board. The company also announced the reorganization of its corporate Board of Directors. The organizational changes will allow the company to deliver against its mission of bringing wholesome and nutritious low glycemic products to consumers. The promotion for Williams should not come to anyone’s surprise. In the six months since joining New Era Nutrition, Williams has overseen the successful launch of a new line of plant-based superfood nutrition bars, expanded sales operations into the massive USA market and recruited high quality talent to join the organization. Dean Williams has spent 20 years building consumer brands. Prior to joining New Era Nutrition, he was Chief Commercial Officer at a venture capital firm focused on scaling early stage consumer product companies. Earlier in his career, Williams gained valuable experience at several multinational CPG organizations – including Danone, PepsiCo, Novartis and most recently at Heineken, where he held the position of Vice President of Commercial. New Era Nutrition manufactures low glycemic nutrition bars under the brand name SoLo GI, which are found in most grocery, drug and health food stores throughout Canada. The company has a strong reputation for offering health conscious consumers a great tasting snack for their on-the-go lifestyle. The revamped Board of Directors team will help provide strong support and guidance as the company enters the United States retail market later this spring and prepares a strong innovation pipeline of low glycemic, nutritiously balanced foods. Elected at the annual shareholder meeting in February, New Era Nutrition’s Board of Directors consist of the following members; Chester Fong, Saul Katz (Chairman), Michael Lovsin and Rich Thompson. Featured below is a brief bio for each board member. Saul Katz founded New Era Nutrition and is considered a pioneer in the functional food and nutraceutical industry. Under his direction, New Era developed proprietary technology platforms which resulted in the market introduction of numerous science-based functional food products. He established research collaborations with leading scientific institutions, and technology licensing agreements with major U.S. firms. Saul chaired and was guest speaker at numerous agricultural, nutraceutical and functional food symposia. Prior to founding New Era Nutrition, he was Vice President and General Counsel of the Triple Five Group of Companies (developers of West Edmonton Mall and the Mall of America). Saul has law degrees (common and civil law) from the University of Ottawa, and an undergraduate degree from McGill University, Canada. Micheal Lovsin is an accomplished retail executive with more than 35 years of experience in the Drugstore, Beauty Indulgence and Supermarkets industry. He is a former member of the Retail Council of Canada’s Health and Wellness Committee and the Ontario Governments Healthy Kids panel. Micheal recently led the Brands team for Coles Supermarkets Pty Australia. 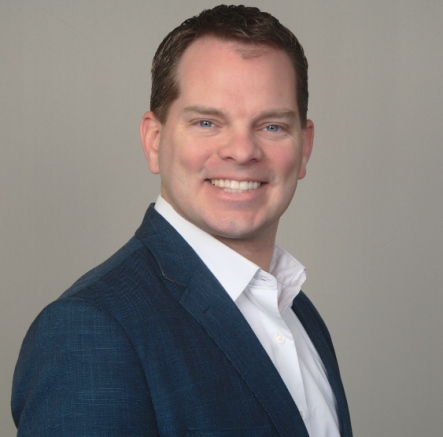 Micheal’s experience includes executive roles at Shoppers Drug Mart as VP Category Management, ULTA as VP Merchandising and Loblaws as SVP Health and Wellness as well as SVP Loblaw Brands. With Michael’s vast experience, he is uniquely positioned to assist us in delivering our overall strategy. Micheal Lovsin is currently the President and CEO of Brilliant Ideas Group Inc.- bespoke consulting firm based in Canada. Rich Thompson is well known in the Canadian advertising community, private company investment circles and in the northern Canadian real estate arena. Rich co-founded and is currently the CEO of Northern Vision Development LP- one of the most active real estate company in the Yukon which manages a comprehensive commercial, hotel and residential estate portfolio. Rich is also CEO of Pureform Diagnostics Imaging Clinics a company focused on the development of state of the art diagnostic imaging clinics in Alberta. A serial entrepreneur, Rich has investments in a string of fitness clubs, including Calgary’s Bow Valley Club and a wide array of real estate holdings and private company investments. He holds a B.SC from the University of Toronto (Mathematics and Statistics) and an MBA in Finance from York University where he graduated with distinction. Chester Fong is a global executive with over 30 years of experience in finance and general management at global consumer products companies and management consulting organizations. Chester held numerous executive level positions at Colgate-Palmolive including Chairman & CEO of Greater China and CFO of Greater Asia. In these roles he gained extensive experience managing businesses with full P&L responsibilities, mergers and acquisitions, strategic planning and go-to-market strategy. Currently Chester is part-time senior advisor at McKinsey in Asia-Pacific supporting Strategy and Corporate Finance with focus on transactions and CFO service lines. He also serves as an active Board of Director member at several companies in China and Singapore. Chester holds advanced degrees (MBA and CPA) from global recognized universities. New Era Nutrition Inc. is a Canadian company headquartered in Kelowna, BC. The company was the first to introduce a line of clinically validated low glycemic nutrition bars under the brand name SoLo GI. SoLo was developed to provide a delicious snack that takes into consideration the blood sugar impact as well as nutritional content to promote optimal health and performance. Due to numerous benefits of living a low GI lifestyle, SoLo products are targeted to athletes, energy seekers, and those looking for long-term weight management solutions. For more information, visit www.soloenergybar.ca in Canada and www.solonutrition.com in the United States. Be the first to comment on "New Era Nutrition Promotes President to CEO and Reorganizes Board of Directors"